Okay, so I was thinking the other day..... With the release of the new Explorer Sport, I noticed something very interesting with the options available on it. A number of common options were missing, like HID headlamps for one, and no center rear console available for the second row bucket seats, options available on the Limited trim...and that got me thinking more. So, I have a friend who has an Edge Sport, and when he was buying it, he was frustrated that he couldn't get HID headlights on his car like they have on the Limited trim. I told him it was most likely due to the fact that they didn't want the Sport (with the 3.7L engine) to compete directly with the Lincoln MKX, so they 'dumbed' down the options list, taking a thing or two from here or there. Each car will get its own little chunk of the market with out stealing from the other. Then it came to me like a flash! The Lincoln Aviator must be on its way!! The Explorer Sport compared to the Limited is following a very similar path to the Edge Sport/Limited and MKX. I predict here and now that the Lincoln Aviator will be reborn sooner rather than later, and will have a juicy 3.5L EB under the hood. So the question for me now is...How soon will it arrive?? So Aviator could be at the LA Show.?..!..?! MKG at Detroit, new gen MKS "concept" at Chicago and RWD MKsomethingStang (we don't know much about this yet) at the NY Show next year?? Oh and the imfamous MKT "Town Car" (with a bodystyle more fitting of a "Town Car" than the current "trunkless hatch-look") most likely will show up somewhere. Now all we have to do is guess what the styling could look like for the Aviator (hoping for "sophisticated exotic").......and what type of front grill (anybody's guess here) it will wear. Seems feasible. It's fairly well known that the MKT is going to be replaced in 2014 with an Explorer like vehicle. Hopefully the base engine is something other than the 2.0 EcoBoost and the vehicle is entirely different than the Explorer. hmmm perhaps the 2.3 EcoBoost? It is now a couple years off still, so we will have to wait a while longer. 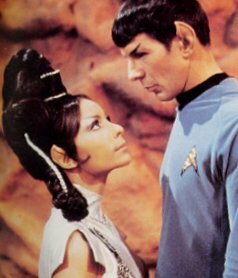 What isn't logical is what in the **** that woman's hair is doing. I haven't watched the entirety of TOS yet, but I've seen most of TNG, all of DS9, all of Voyager, and unfortunately all of Enterprise (worst). I lub Star Trek. Before the mediocre Chris Pine movie came out. I remember being sick and watching the original Star Trek movies all day long. And woah woah woah, are these things actually for real from Lincoln? I SO BADLY want the Americans to have real, competitive luxury brands. I remember being so hopeful for Lincoln and excited 8 or so years ago, but being suddenly so completely disgusted with how the Lincolns turned out. Yuck. Lincoln should of just updated the LS before scrapping it because the mks and mkz never lived up to expectations. The 2013 mkz shows promise though.